Cloud stocks are back. During the late 2018 market selloff, cloud stocks were thrown out — along with every other growth stock in the market. But as financial markets have improved in early 2019 due to stabilizing economic fundamentals, cloud stocks have come roaring back. 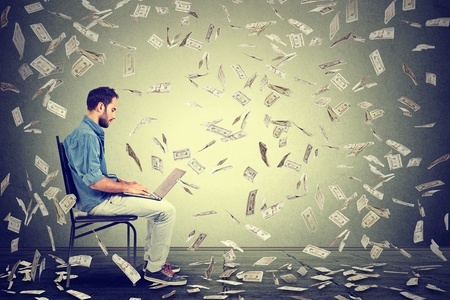 The First Trust Cloud Computing ETF (NASDAQ:SKYY) dropped more than 20% in late 2018. Since bottoming on Christmas Eve, the SKYY ETF has soared nearly 20%, and is now just 5% off of all-time highs. The big rebound in cloud stocks can be chalked up to improving fundamentals and sentiment. As it turns out, the global economy isn’t spiraling downward at a rapid rate. Instead, it is simply slowing at a reasonable rate to a more steady 2-3% growth rate. Amid this slowdown, cloud services demand has remained robust, since cloud services are seen both as the future and a way to cut costs amid slowing growth. Consequently, the fundamentals and sentiment underlying cloud stocks have dramatically improved over the past month. As they have, cloud stocks have soared higher. This rally is far from over. 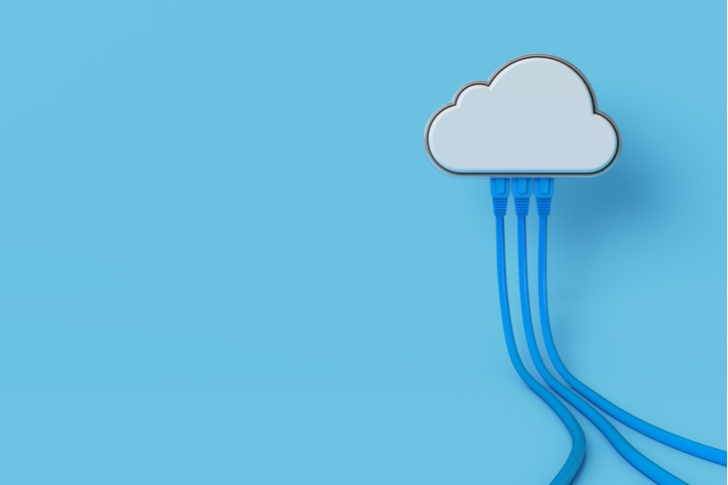 Considering only 20% of enterprise workloads have shifted to the cloud, it’s fair to say that the rally in cloud stocks is still in its early stages. With that in mind, let’s take a look a 7 cloud stocks to buy now. Perhaps the best-in-class cloud stock to buy now for healthy upside and limited risk is Adobe(NASDAQ:ADBE). The core growth narrative here is quite promising. Adobe is one part stable-growth business with a huge moat, and one part hyper-growth business with a rapidly expanding addressable market. Those two parts put together are worth far more than what the market is saying today. On the stable growth side, Adobe is a one-stop shop digital solution for creative professionals with relatively muted competition. This has always been the case. If you can’t think of any true competitors to Adobe in the creative solutions space, you aren’t alone. Just check out this list or this list of Adobe Photoshop alternatives. None of them are household names. Nor do any of them offer products even close in quality to Adobe’s offerings. As such, this creative solutions business is a stable growth business with a huge moat and no competition, implying healthy revenue and profit growth for the foreseeable future. On the hyper growth side, Adobe is morphing into a cloud business with a unique value prop. Other cloud solutions focus on various factors. Adobe’s cloud solutions focuses on experiences and visuals, and the company is leveraging its experience in visual-oriented solutions to create cloud solutions for companies looking to enhance their consumer’s experience. 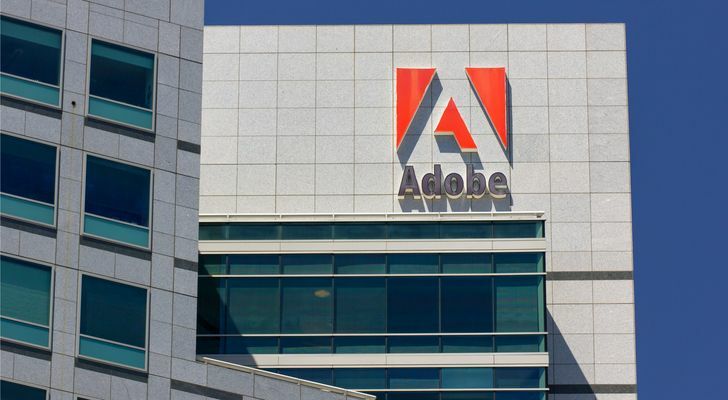 As it does, Adobe’s revenue and profits will move considerably higher. Overall, there’s a lot to like about ADBE stock. This is a big growth company that will keep growing at a big rate for a lot longer. That level of robust growth will power ADBE stock significantly higher in a long term window. Over the past several quarters, Twilio has emerged as the unchallenged leader in the rapidly growing Communication Platforms-as-a-Service (CPaaS) market. The CPaaS market essentially consists of companies integrating real-time communication into their services. Think of Uber or Lyft using messages to communicate with riders when their rides are approaching. This market will be huge due to continuous shifts towards cloud-based communication, personalized customer experience and digital engagement. Quite simply, as consumers, we enjoy digital, real-time, and personalized communication about the services and products we are paying for. Twilio enables this communication. That positions this company for huge growth as the CPaaS market expands over the next several years. For what it’s worth, research firm IDC expects this market to grow five fold over the next five years. Thanks to its huge customer and revenue growth and 95%-plus retention rate, Twilio has emerged as the clear leader in this space. As this space matures over the next several years, companies will increasingly turn towards Twilio to enable CPaaS solutions thanks to the company’s leadership position (in new industries, you always tend to trust the leader). As such, over the next several years, Twilio will continue to grow at a rather robust rate. This big growth will ultimately power TWLO stock higher, especially against a favorable equity backdrop. In the digitization and automation fields, the cloud stock to buy is ServiceNow (NYSE:NOW). 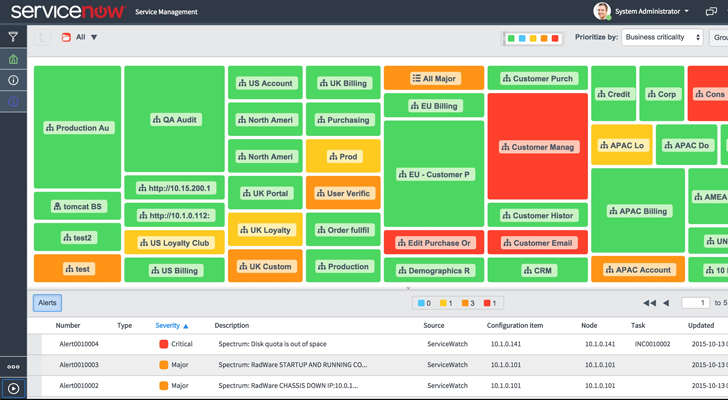 ServiceNow is currently in the business of digitizing corporate operations. This includes automating corporate workflows and IT tasks. But, this is just the tip of the iceberg for ServiceNow. Automation is a big, big market. Automating IT tasks represents just a fraction of what the automation market will look like at scale. At scale, jobs across the entire corporate ecosystem will be replaced by more efficient digitized and automated solutions. ServiceNow will provide the lion’s share of these solutions. As such, as the automation revolution plays out over the next several years, ServiceNow’s revenues and profits will explode higher. As they do, NOW stock will explode higher, too, considering the valuation today remains reasonable. Overall, NOW stock is a great way to play the automation revolution. This revolution is still in the first inning, and the next eight innings promise to have broad and immense financial implications. For ServiceNow, those implications are hugely positive. As such, NOW stock should trend consistently higher over the next several years. 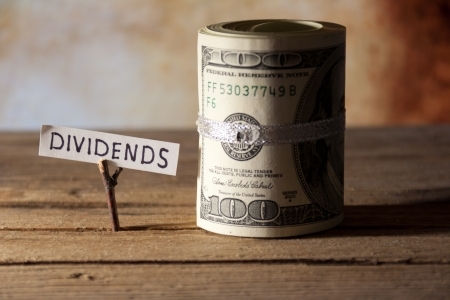 One of the more exciting cloud stocks to consider here is Okta (NASDAQ:OKTA). Okta is pioneering what the company calls the identity cloud. Essentially, this is a cloud solution centered on individual identity that allows millions of people across a corporate ecosystem to seamlessly, securely, and uniformly connect to the technological tools that the corporation is adopting. This may sound like a complex idea. The underlying technology is complex. But, the idea isn’t. The idea is that companies everywhere are rapidly adopting new technologies, and that the implementation of these technologies is often difficult, chunky, and risky to identities and data. Okta solves this problem, and allows companies to adopt new technologies seamlessly and within the same secure cloud solution. This is a big idea. Big ideas have big markets. Indeed, the addressable market for Okta’s identity cloud is the whole IT space. Okta recorded revenues of just over $100 million last quarter from growth of nearly 60%. This is nothing new. Over the past several quarters, the average revenue growth rate has hovered around 60% and the average customer growth rate has hovered around 40%. Thus, this is a small company that is consistently and rapidly growing in a huge market. Gross margins are high, and marching higher, leaving room for big profits at scale. Overall, this is a big growth company with a ton of potential. The valuation is big, but the amount of growth firepower underneath this business implies a tremendous opportunity to grow into the valuation, and then some, making OKTA stock an attractive long term investment here. The king of all cloud stocks is Salesforce (NYSE:CRM), and there’s good reason for that. Salesforce is at the heart of the cloud and data revolutions. The company leverages data and analytics to deliver robust cloud solutions to enterprises that want data-driven insights. Demand for this type of service will grow by leaps and bounds over the next several years as data-driven strategies and cloud solutions become the enterprise norm. Salesforce has developed a long-standing reputation for being the best in class for delivering these services. That won’t change any time soon. 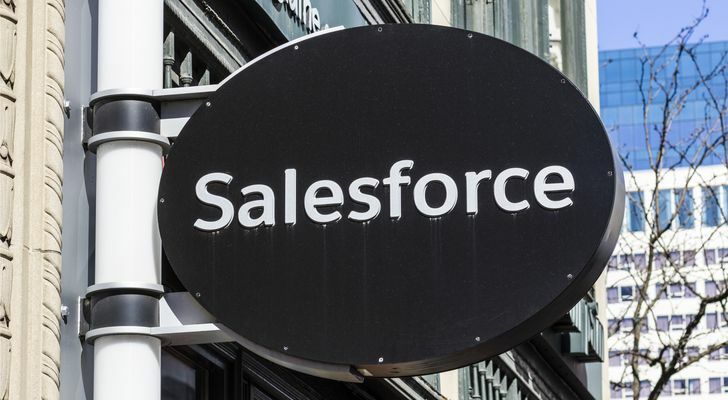 As such, Salesforce’s revenues and profits will soar higher over the next several years as the cloud and data revolutions gain mainstream traction. This will naturally push CRM stock higher. Valuation is somewhat of a concern at nearly 60x forward earnings. But, the company has enough growth firepower through cloud and data tailwinds to grow into its valuation. Plus, valuation has been a long-running concern for this stock, and the stock has done nothing but defy those concerns and head higher over the past several years. The same will be true over the next several years, too. Cloud and data tailwinds will propel CRM stock higher, and this stock will ultimately grow into its valuation. Indeed, numbers indicate the stock could double in the long run. 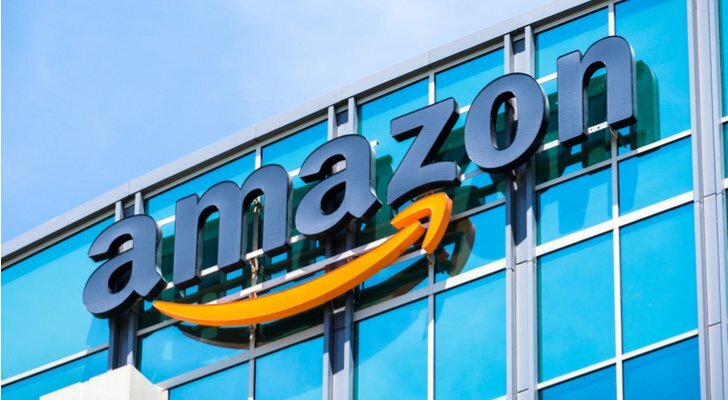 Amazon (NASDAQ:AMZN) is better known for its giant e-commerce business. But, the true profit growth driver behind Amazon is the company’s cloud business — Amazon Web Services. AWS is the world’s largest cloud infrastructure services business, and it’s not even close. Amazon Web Services is bigger than its four closest competitors … combined. And the company has consistently controlled more than 30% of the cloud services market. This dominance speaks volumes about just how good AWS is. Indeed, AWS is so good that even Amazon’s commerce competitors are giving money to the company through AWS. Notably, Amazon’s e-commerce competitor Zulily migrated its infrastructure to AWS recently. Also, AWS is so good that Amazon it is the clear front-runner to win a $10 billion Joint Enterprise Defense Infrastructure (JEDI) commercial cloud contract with the U.S. government. If Amazon were to win that contract, that would be the second government contract this decade (AWS won a $600 million CIA contract in 2013). Overall, AWS is the clear leader in the cloud infrastructure services. As this market grows over the next several years, AWS will grow, too, and that will provide a big boost to Amazon’s profits. A big boost to Amazon’s profits will give AMZN stock firepower to head higher. Much like Amazon, Alphabet (NASDAQ:GOOGL,NASDAQ:GOOG) is better known for its non-cloud businesses. But, a significantly underappreciated and underrated aspect of Alphabet is Google Cloud. Google Cloud is a big growth, big margin business for Alphabet. To be sure, the business has lost some steam over the past several quarters as Microsoft (NASDAQ:MSFT) has gained cloud market share at a more robust pace than Alphabet recently. But, there have been some C-suite changes at Google Cloud which could give the business new direction and new firepower to regain some lost momentum. Regardless, Google Cloud will remain a 20%-plus growth business for a lot longer. 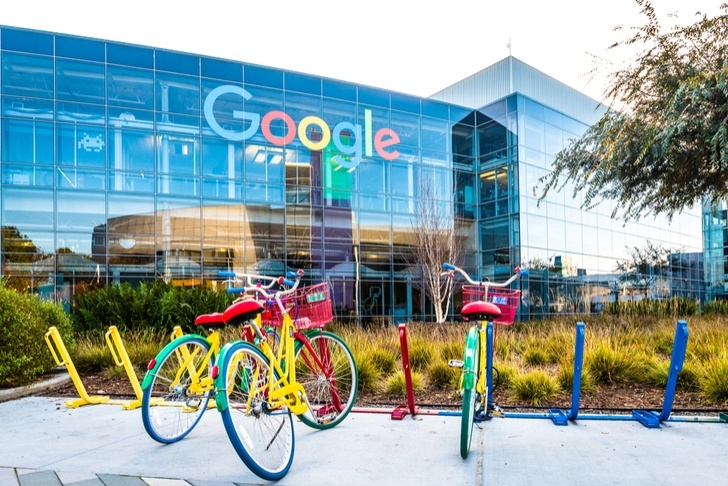 Overall, Google Cloud is the key to unlocking the next leg of value in GOOGL stock. Fortunately, this business is progressing as expected, and will continue to do so over the next several years. As it does, GOOG stock will move higher. As of this writing, Luke Lango was long ADBE, TWLO, CRM, AMZN and GOOG.